what’s at the heart of mom anger? I never thought of myself as an angry person. In fact, if anyone was a “nice girl” it was yours truly. A people-pleasing, don’t rock the boat, smile-always-on-my-face nice girl. As my oldest hit the toddler years, I transformed into someone I didn’t recognize. I was angry — most of the time. I didn’t often look angry. But there it was — my anger, thinly disguised behind a weak smile, ready to burst on the scene in unannounced, ugly fashion. It was my children’s fault, you know. If only they would behave better. If only they would be less demanding. If only they weren’t so strong-willed. I wasn’t the problem. They were. Kids are smart. Who I was in public didn’t always match who I was in private. And they knew it. And they didn’t respect that. Maybe it wasn’t them. Maybe it was me. My mom anger wasn’t a mouth issue. It was a heart issue. What was in my heart that prompted evil to come out of my mouth? How is God repairing it (it’s an ongoing process, ya know)? Heart Issue #1: I was spiritually apathetic. I prayed this prayer: God, I feel cold. If I’m going to keep doing this, you are going to make yourself real to me. My anger wasn’t a mouth issue. It was a heart issue. Heart Repair: I developed an authentic relationship with Jesus. Motherhood exposed just how weak and rotten I was. Driven by my own selfish nature and limitations, I quickly realized I was going to screw this mom thing up. Big time. I needed Someone bigger, stronger and infinitely more loving than I was to guide me and give me the strength, wisdom and sacrificial heart I needed to raise my children. I needed Him to fill me up when my energy and patience began to run dry. Motherhood shattered my “religion.” I needed Jesus – a real, vibrant, I-need-You-every-second-of-every-day relationship with a personal God. Becoming a mom has brought me closer and closer to the foot of the cross, clinging to Him for insight, patience, courage and wisdom. Heart Issue #2: I was insecure. For most of my life so much of my identity has been wrapped up in my performance. Motherhood severely tested my image. I could control my own behavior, but I couldn’t always control theirs. I wanted my children to behave. I wanted them to make me look good and feel good about myself. When they didn’t, after I had tried so hard to please them, it made me angry. They threatened my “image.” They disturbed the outer and inner peace I fought so hard to construct … and I resented it. Heart Repair: I became secure in who God made me. As God nudged me out of my spiritual apathy, I began to internalize this life-changing Truth: God didn’t just love the world. He loved ME — Melinda. Not because of anything I did or didn’t do. But because He made me. He knows me more completely than anyone else. My worth didn’t have to be tied to my performance or my children’s. This epiphany changed everything. But then I’d wake up and forget it. I still do! Everyday, I have to consciously remember that what He says about me is all that counts. 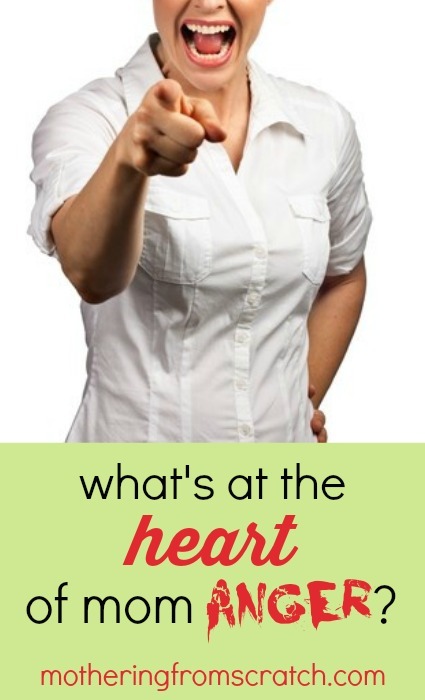 Heart Issue #3: My kids’ approval was too important to me. I resented my kids when they didn’t behave, but really I was mad at myself because I wasn’t strong enough to set consistent boundaries. I wanted them to like me. Ironically, the lack of boundaries strained our relationship more than anything else. They didn’t seem to like me or respect me. The older my kids got, the we all paid a high price for the lack of boundaries. This came into full bloom in the middle school years. All that “pleasing” blew up in my face. Heart Repair: God helped me to become more concerned with their well-being than their approval. As I began to truly understand that God gave me my worth, not my children, He freed me from my selfish motives and gave me the courage to do what was right for my children. I was motivated by love for them instead of expecting them to fill a need they were never designed to fill. Being unpopular with my children still makes me squirm. Approval-seeking tendencies die hard. Yet I know making the hard choices is in their best interest. And that motivates me to lay aside my own interests — as uncomfortable as that feels. I knew motherhood would expand my heart in amazing ways. What I wasn’t prepared for was how fully it would expose it to the evil things that lurked there. Your heart may have different issues, Mom. Seek Him. He’ll lovingly uncover the things that are cluttering your heart and stealing your joy. And you’ll find that placing it in the hands of the One who created it makes all the difference. The Ultimate Homemaking Bundle (below) is an affiliate. * Mothering From Scratch is an affiliate for the Ultimate Homemaking Bundle. We receive a percentage of all sales that originate from the links on our blog and social media channels. Click here to see our full disclosure.